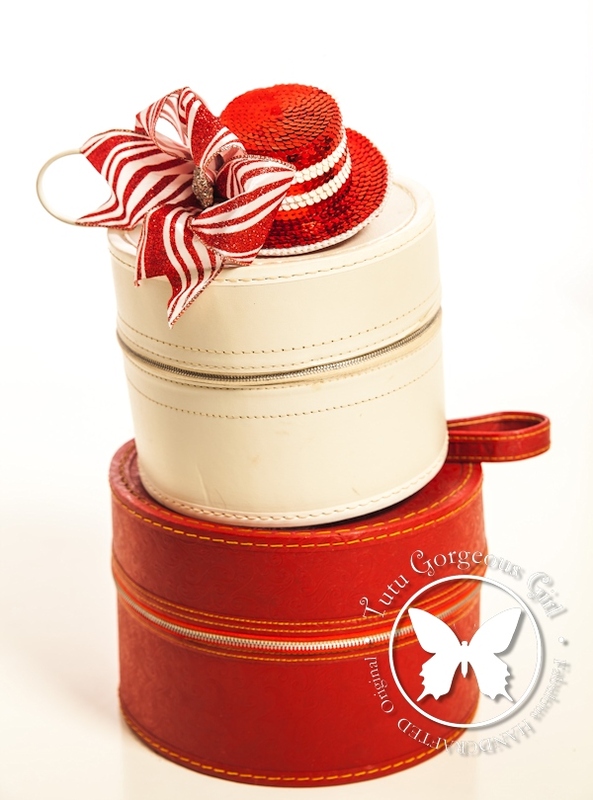 Be the life of the party with this Girl's and women's festive red and white Christmas mini top hat, fascinator. 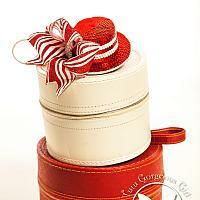 The Candy Cane Crush mini top hat is a favorite among ladies looking for a festive hat for their Christmas parties. 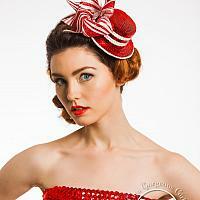 Red and white sequins are hand strung, and a large red and white striped bow adorn the hat. Also an adorable choice for a children's Santa and Me portrait hair accessory or pageant costume hat. With stretch elastic headband in beige or black. Or with two alligator clips.